The Overwatch League or OWL is a professional esports league for the popular video game Overwatch. The league consists of 12 founding teams, and 8 expansion teams to form a league of 20 teams. Started in 2016, the OWL is one of esports first professional leagues to follow traditional professional sports by setting the teams home base in the city they will compete from. There are many factors that determine which Overwatch team is the “most popular overwatch team”. From earnings, to player followings, to fan loyalty and so on – we just measure the teams social media following. By measuring the following fans can get a general idea on which teams are the most popular OWL teams. Currently we are tracking Twitter, Twitch, YouTube, Instagram and Facebook followers. 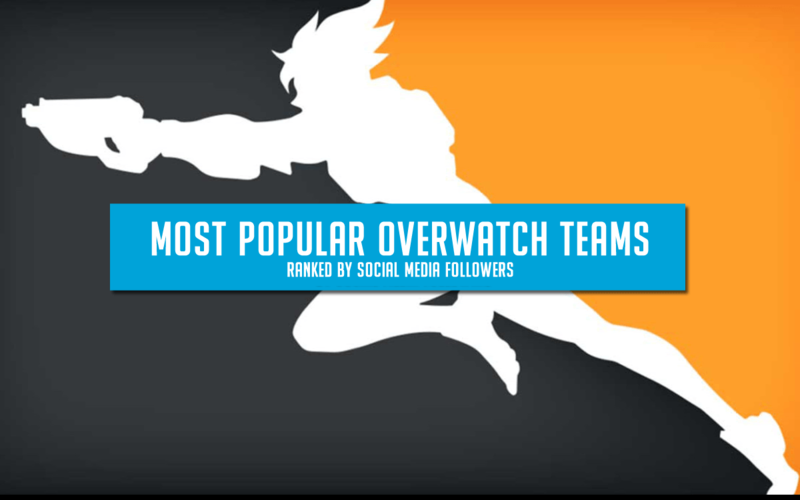 The most popular Overwatch teams are ranked based on total followers of those social media platforms. Last Updated: 04/24/2019 - This table updates periodically throughout the day. The data displayed are the averages for the entire day. To see a more exact count and detailed view please click on the organisations name.